The First Minister wants to devolve immigration to the Scottish Parliament. The First Minister has revealed proposals to keep Scotland inside the European single market after Brexit. 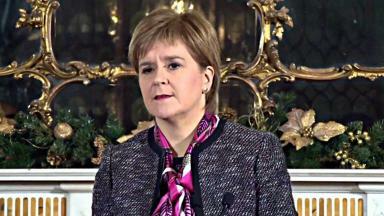 At a speech in Edinburgh on Tuesday, Nicola Sturgeon revealed her government's proposals to Downing Street before the UK Government triggers article 50 before March. Sturgeon said independence with full membership of the European Union remains her "preferred option" but these proposals are a "compromise". She wants to ensure Scotland stays inside the single market even if the rest of the UK does not. The Scottish Government has included proposals for the UK as a whole to stay in the single market through membership of the European Economic Area (EEA) but it "is not confident the UK Government will accept this proposition". If the Downing Street does not accept the proposals then the Scottish Government will call on the UK Government to deliver a "differentiated" settlement for Scotland, ensuring the country remains inside the single market even if the rest of the UK does not. Responding to Sturgeon's blueprint, a UK Government spokesperson said: "We welcome the publication of the Scottish Government's paper and will give it careful consideration. "We are engaging closely with all the devolved administrations through the [joint ministerial committee] process and this contribution from the Scottish Government will feed into that constructive work. "As we leave the EU, we are committed to securing a deal that works for all parts of the UK, including Scotland, and for the UK as a whole. The best way to achieve this is for all four governments to work together." To achieve a separate Scottish deal, the Holyrood government wants powers over immigration and the ability to strike international agreements, allowing the country to join the EEA even if the rest of the UK does not. This would mean Scotland would retain the free movement of people, goods, services and capital with the rest of Europe. In the foreword to the document, Sturgeon said: "In all of this our single, overriding concern is to protect Scotland's national interests. "It is our determination to ensure Scotland's voice is heard, and acted upon. That is the hallmark of the Scottish Government's approach. "At the heart of the proposals in this document, and our proposals for any EU negotiations, we are determined to maintain Scotland's current position in the European single market." She added: "The Scottish people did not vote for Brexit, and a 'hard Brexit' would severely damage Scotland's economic, social and cultural interests. "It will hit jobs and living standards - deeply and permanently. That is why we are so determined to avoid it." The Scottish Conservatives' Ruth Davidson, leader of the opposition at Holyrood, claimed the blueprint showed Nicola Sturgeon was "trying to split the country up". She said: "We want the best Brexit deal for Scotland and that means the UK coming together to negotiate hard in the interests of all of us. Nicola Sturgeon talks about compromise, but written in black and white in her own report is her true intention - she wants independence in Europe. "She has been using the Brexit issue to get to that point all along and the people of Scotland can see her manoeuvring for what it is. If she truly wants the best Brexit deal, she should be pulling together with other parts of the UK, not trying to split the country up. "We cannot see how the SNP's plans for a separate Scottish deal, or independence, will deliver that. Simply put, all the evidence shows that it would create a trade barrier at Berwick. "That's not just our view - it's the view of industry leaders, academics and members of the SNP's own hand-picked standing council of experts. Given that, it's perhaps no surprise that today's paper hasn't been written by the experts, but by the SNP government itself. "As with its own independence white paper, the SNP is simply putting forward evidence-free assertions." Kezia Dugdale, leader of Scottish Labour, called on the First Minister to rule out another referendum on independence and warned her party would oppose any attempts to "force" another plebiscite. Dugdale said: "We will study the government's Brexit proposals in detail, including the practicality of delivering different solutions for different parts of the UK. Scottish Labour is very clear that we want the UK to retain access to the EU single market to protect jobs and the rights of workers in Scotland. "The most important single market to Scotland is the UK. The SNP's own figures confirm that remaining part of the UK single market is more important for Scotland's economy than even being in the EU. "With power returning from Brussels, it is now clear that we need a people's constitutional convention and a new Act of a Union to reform where power lies across the whole of our country, and to save our union for the future. "If Nicola Sturgeon really wants to unite the country, she should take this opportunity to rule out another independence referendum. Our country is divided enough already without seeking even further divisions. Labour will not support any plan to force another independence referendum on the people of Scotland." The Scottish Greens warned the proposals could see 40,000 Scots lose their jobs. 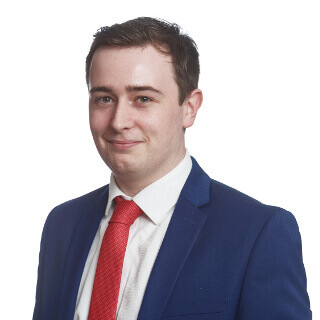 Ross Greer, the party's external affairs spokesman, said: "This work from the Scottish Government is the most detailed plan on any element of Brexit published anywhere on these islands. "That being said, while Greens accept that few options remain available to Scotland, this represents a huge compromise on the government's part. The reality is that just under two in three people in Scotland voted to stay in the European Union and the options presented today fall well short of that. "Indeed, this compromise would probably result in around 40,000 lost jobs and a £1,000 drop in average wages in Scotland. "These plans are the maximum limit of compromise, so if the Westminster government fails to accept them, it will signal clearly that Scotland's interests and wishes are to be ignored completely. This would be an act of contempt that would likely end the UK's fragile union." The proposals were dismissed as an "expensive exercise in Christmas window dressing" by the Scottish Liberal Democrat leader Willie Rennie. He said: "This whole report is one expensive exercise in Christmas window dressing as the only option the First Minister really wants to succeed is Scottish independence. "The First Minister has ruled out keeping the UK in the EU which breaks her promise to consider all the options. Instead of fiddling around with ever more complex and confused fragmented arrangements for Scotland, the SNP should get behind the campaign to keep the whole of the UK in the European Union. That is the best and simplest option for Scotland and the UK."